This cute ice cream themed card (you are sweet) was created by Kim Hughes and she is sharing the template over at Paper Crafts Connection. 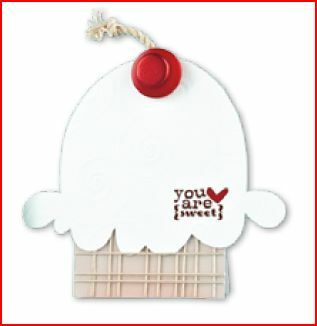 This would make a very cute invitation to your ice cream themed party. If you have one of those in your future, or just love a cute ice cream cone shaped card, you can download the ice cream cone pattern HERE.